Generally, rocket motor propellant is considered a Hazardous Material (HAZMAT) and as such must meet certain package and labeling requirements. Any order containing a Red X and where the UPS Ground Option hasn't been selected will be delayed and or cancelled. One last thing, USPS Standard Post can take 2 to 8 days for delivery. In the event you would like to have your order delivered possibly sooner, then you may elect to select the UPS Ground Shipping option, albeit the standard HAZMAT fee will still apply as required by UPS. How long does it take to deliver a Parcel Select package? USPS Parcel Select offers U.S. delivery within 2-8 days for packages being delivered to the contiguous 48 states. This can easily vary if your package is being delivered to Alaska, Hawaii or an U.S. territory. Additionally, these delivery times can vary widely depending up seasonal conditions, particularly the Black Friday, Cyber Monday and December Holiday season. Do you provide a Tracking Number and Delivery Confirmation? Yes, you will receive an automated tracking number once your package ships. Tracking can be viewed using the USPS Track & Confirm website or the UPS websites. No. Unfortunately our products are considered a Hazardous Material by the shipping companies and as such can only be packaged and shipped by approved personnel. If your item was damaged then you will need to file a claim with the shipper. If the contents of any of your items are incomplete due to a manufacturer issue, then please let us know and we'll contact the manufacturer to remedy the problem. I had a catastrophic failure of a motor (CATO), what do I do? First, file a Malfunctioning Engine Statistical Survey (MESS) report at http://www.motorcato.org/. Then contact the manufacturer at warranty@aerotech-rocketry.com. You must respond to your order confirmation with an image of your Tripoli or NAR membership card showing your Level of Certification: Level 1, Level 2, or Level 3. If in the super absolute rare event you checked your spam filter and could not find an order confirmation, then send me a message using the form below or give me a call. Your order will ship in accordance with what is outlined below only after you've provided us with an image of your Tripoli or NAR Certification card. Yes, you must be certified to the appropriate level to receive certain motors. 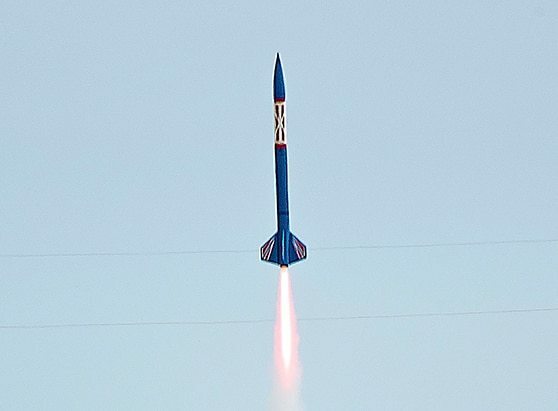 If you are not yet certified and are looking to certify at an upcoming launch, we can provide one motor of the impulse level you are looking to certify to. In any event, we still need to see an image of your membership card with appropriate certification level if applicable. If you've already provided us with an image of your membership card then don't worry, we've got it on file. Shipping is limited to UPS Ground Residential or Commercial and to the lower 48 states. Motor hardware may be shipped using either UPS or USPS but no matter the provider a tracking number will always be provided. With exception to motor hardware, HAZMAT fees imposed by UPS are almost always required. 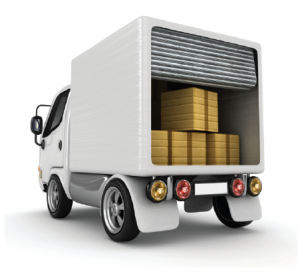 With certain exceptions, orders will ship the same or next business day. Shipping days are Monday through Friday; I cannot ship on Weekends and certain days that UPS is closed; see UPS.com for further detail. From time to time shipping may not be possible on certain days. This is expected to be limited and a primary function of business travel and family needs. To be clear, we will NEVER withhold shipping an order just because we don't feel like it, or that I'm hungover, or that I'm lounging around watching endless YouTube videos.... Simply put, motor orders will be shipped same or next day provided they are in stock and that you are an individual that's able to receive the motors and provided the necessary documents (an image of your Tripoli or NAR card showing your appropriate certification level) proving as such. California customers should be aware that we cannot ship motors that have not been certified by the California State Fire Marshal's office. Any orders shipping to California that contain a motor not already certified by the CSFM will be delayed until we can arrange for a CSFM certified motor replacement or removal of the non-certified item from the order. These particular items should be noted as such in their heading or descriptions.